Hitchhiker’s Guide To The Galaxy on air, again. Radio 4 Extra celebrates the 40th anniversary of Douglas Adams’s cult science fiction comedy. The global multi-media success story that is “Hitchhiker’s” started life as a Radio 4 series in March 1978. The original scripts by the late Douglas Adams then went on to spawn a series of novels, a feature film, at least three stage shows, a TV series, a computer game, a collection of comic books – and a towel. Arthur Dent is the last human alive, but in many ways he’s much less than that. Forty years on from the first ever radio series of The Hitchhiker’s Guide to the Galaxy, Douglas Adams’s space travellers return to Radio 4 to be thrown back into the Whole General Mish Mash on Thursday 8 March 2018 at 6.30pm. 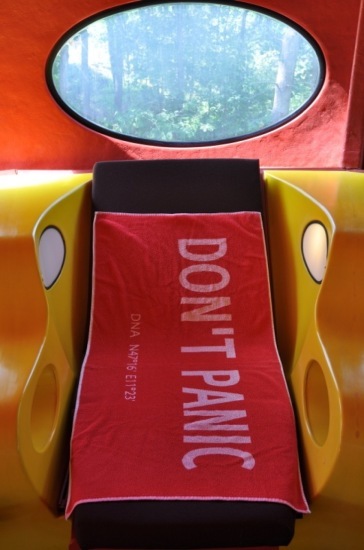 Grab your DON’T PANIC towel and enjoy the broadcasts. Posted by Uli Schuster at 6:14 pm on March 8th, 2018. Categories: Don't Panic. 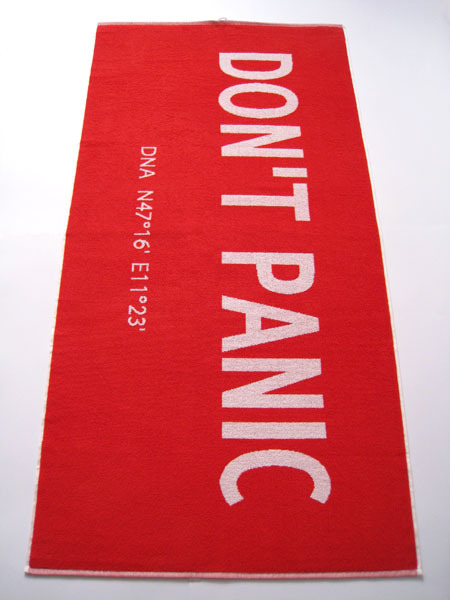 Tags: 42, Don't Panic, Don't Panic Towel, h2g2, Towel.